Whether you’re a listener contemplating making your first move, or an investor that’s considering options for putting your money to its highest use, this Flashback Friday episode, originally published in October 2016, contains valuable information that may help you on your journey. Jason Hartman’s client case study with Brian covered Brian’s experience with becoming a real estate investor as well as the options he’s considering in order to expand his portfolio. The pair discussed what the best choice might be for a property that has matured; either refinancing the property or initiating a 1031 exchange to obtain two properties for one (one-for-one or even three-for-one are also 1031 exchange options). Brian also mentioned how the Rich Dad Poor Dad book by Robert Kiyosaki was an assigned read in high school economics but ended up being his original source of inspiration that was reinforced when he started listening to the Creating Wealth podcast around Episode 50. Jason Hartman opens the episode by welcoming both his listeners and a client, Brian, to the podcast to participate in a client case study. He explains that Brian has followed the Creating Wealth podcast for a long time, since Episode 50 was published, and he’s tuning in out of San Francisco to discuss his journey in becoming a real estate investor as well as different ideas he has related to the field. When asked about the area’s high rent, Brian explains that he pays $2,500 per month to rent his two-bedroom unit. The building is composed of two units, and the total price for the place is approximately $1.4 million. Hartman figures that with this information, Brian’s rent-to-value ratio would be about .33, which is a good deal for the area in which he lives. He jokingly mentions that Brian is joining the podcast out of San Francisco because he enjoys paying high rents. Getting into how Brian became interested in becoming a real estate investor, he mentions that in high school, he was assigned Rich Dad Poor Dad by Robert Kiyosaki for an economics class he attended. He had the choice of three different books to read, and he chose this one. He adds that it took until the point he was coming out of college to revisit the writing and have the ideas truly sink in. He was wondering what he should do with his money and this option seemed like a good one to visit. Hartman mentions that Robert Kiyosaki’s book has inspired a good deal of real estate investment over the years. Brian states that he started listening to the Creating Wealth podcast at Episode 50 and followed it for a couple of years before he decided to take the next step and reach out to an investment counselor. He adds that he connected with Sara, and she did a great job of assisting him throughout the entire process of becoming a real estate investor. He bought his first property in Atlanta in 2011 and then waited a couple of years before buying a second property in Memphis during 2014. When asked about Brian’s experience with choosing properties, getting them rented out, and dealing with property managers, Brian explains that working with property managers has been a bit all over the map. He states that working with local market specialists has gone quite well. He was able to obtain the properties he found he wanted and adds that he was also happy with the price and rehab done on each property. Brian mentions that finding and placing tenants has gone well, but he’s still learning when it comes to the property management side of things. He notes that he does not have a lot of experience in property management, though he is working with two different property management companies. For the Atlanta property, Brian is working with a small team of two people who handle everything. Hartman states that a small company can either be a good thing or a bad thing, as smaller companies tend to have fewer resources, but because they’re small, an investor is usually getting individualized services from a company that wants to grow. Brian mentions that on the flipside of the situation, the company he works with on the Memphis property is composed of a team of around fifty. With this, he isn’t always sure of who to talk to, and his tasks are often moved from division to division. The walk-throughs, rehabs, and tenant showings are all handled by different people. Because he’s still learning about the pros and cons of property management, he states that this is a good way to understand the different viewpoints. Becoming a Real Estate Investor: Refinancing or 1031 Exchange? Brian explains that his property in Atlanta has had the equity build up quite a bit, and he’s looking to put some of that money to better use. He states that in about six months, he is planning to either perform a 1031 exchange to sell the property and purchase two more or refinance and put some of his money into another property. Hartman notes that he’s mentioned in many episodes that he has promoted the idea of “refi til you die,” but it comes with a bit of bad news. 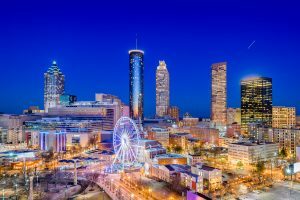 If an investor has a highly-appreciated property like Brian’s property in Atlanta, the rents usually do not keep pace, and the rent-to-value ratio falls out of whack. There is the option to either refinance the property or exchange for two more. He adds that he has had a guest perform a 1031 exchange and purchase three properties rather than two. He mentions that his usual is two-for-one. When asked what he paid for the Atlanta property, Brian states that the price was $82,500, and the property is now worth around $105,000, maybe a little higher. Hartman explains that he might get more appreciation out of the property if he waits a bit longer. He states that it doesn’t yet scream that something has to be done with it right away, so if Brian would hold tight for a bit longer, he might benefit more from his choice. When asked how much his property rents for, Brian notes that the monthly rent is $950, and the remaining balance on the loan is $60,000. Hartman states that with $60,000 if Brian chose to refinance, he could buy one or two more properties but advises that he should let it go a bit longer before making a decision. He notes that this is a good idea unless he has a high-interest loan or adjustable rate that needs to be taken care of. Brian mentions that at the moment he’s keeping his options open and isn’t in a hurry to make a decision right away. As far as equity, the property is getting close to 50%, right around the time when he wants to think about putting his money to better use. Hartman states that it’s also a good idea to consider that on a two-for-one deal (which is only an example, as a 1031 exchange can result in a one-for-one or a three-for-one deal), Brian can sell the property and have all of the equity available at once. Refinancing is limited to 75% LTV, so he isn’t going to get a lot of money out of it. He adds that there’s a need to bank on about 8% on the sales side and depending on the type of financing and the location, 3% stands to be lost in transaction costs. Brian mentions that another benefit of refinancing is to get lower interest rates and $15,000 to $20,000 back from the cash-out, both of which are appealing. He adds that his interest rate at this point is about 5.5% so he should be able to do a bit better. Brian explains that he’s leaning a bit toward refinancing for the simplicity of it, but the 1031 exchange is quite appealing as well. He also mentions that if he were to purchase another property now, he wouldn’t be looking in Atlanta again. His property has good appreciation, but he would like to seek more of a linear market. Hartman adds that at one time he would have classified Atlanta as a linear market, but it’s a hybrid market now. He states that looking at the analysis of Brian’s property he would say that if Brian got two more properties, he could move his income from $950 per month to $1,800 per month in gross income. Brian adds that either option seems like a win/win situation, but he will give it time before making his final decision. When asked about the inspiration for his website, Brian explains that he started www.rentalmindset.com as a way of telling his story and showing people that it isn’t as hard as they would think to become a real estate investor. He also wanted to present what he has learned so far on how real estate is the best place for a thirty-year timeline to benefit. As of now, it’s a better option than everything else. Hartman mentions that he has been listening to the Rich Dad books on Audible and has some of Garrett Sutton’s books to listen to as well. He adds that Tax-Free Wealth by Tom Wheelwright is also a good book. He adds that it’s amazing how against retirement plans these authors are. Tom Wheelwright is a little bit interested in the Roth plan, but generally, none of these writers are fans of retirement plans. Hartman explains that he isn’t as anti-retirement plan as they are, but he completely understands their reasoning. 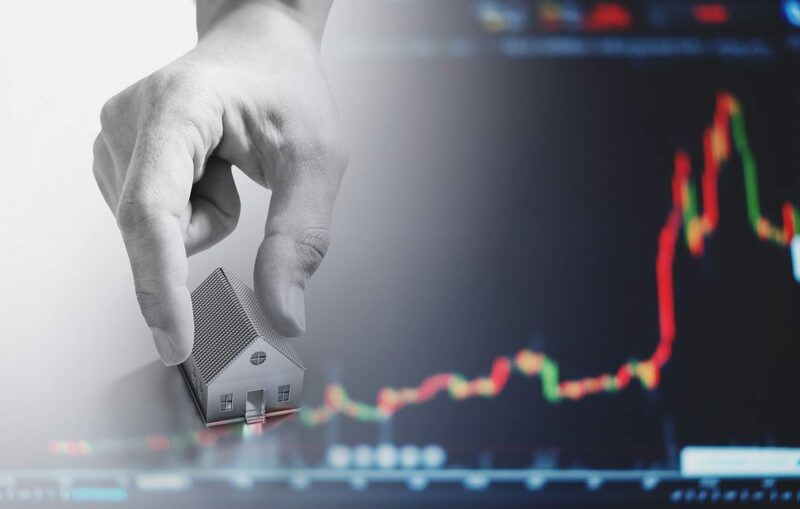 He adds that with real estate investments in a self-directed IRA, an investor basically has a tax-efficient vehicle inside of another tax-efficient vehicle. It’s not a bad option, he says. He states that if he happened to have $100,000 in an IRA, he might not go so far as to cash out on it, pay the penalty and tax, and then invest in something with it. Hartman recommends that Brian read Garrett Sutton’s Loopholes of Real Estate if he’s interested in more interesting books. He explains that he gave away copies of it at the last Venture Alliance meeting, and the members read it together. He adds that they have a sort of book club where they can read and discuss books together. He recommends this one, as it is a good piece of writing. He mentions that some of Garrett Sutton’s ideas are a little old-fashioned, but the book is an interesting read. He states that he loves how Sutton writes, gives examples to support his statements, tells stories, and takes the opportunity to get in his jabs at the government. Brian adds that he wants to add several book reviews to the Rental Mindset website as well. In closing, Hartman offers Brian thanks for being a client and for faithfully listening to the podcast for such a long time. He also states that Brian attended the Meet the Masters event in 2010 and asks if he attended the property tour afterward. Brian answers that he didn’t attend the tour and has never actually seen his properties. When asked about how that experience went, Brian explains that it was a little scary at first, but it ended up working out well. He states that he was able to rationalize it by saying that he isn’t a real estate expert and doesn’t have to perform property inspections. He hires people for that and thus far it has worked out very well. He plans to continue with his real estate investment journey. Hartman wishes Brian luck and once again thanks him for participating in the client case study. For more information about the Rental Mindset website, visit www.rentalmindset.com.